Pakistan would be among 43 countries in the world that has a Knowledge Park. LKP will combine the functions of a Science and Innovation Park with academic, residential, commercial and recreational facilities of vibrant, ultra modern and self-contained community. The Lahore Knowledge Park will also include an independent Grid Station, Sewerage System with Wastewater Treatment Plant according to Pakistan Environmental Protection Agency's regulations, and Fire Fighting framework. 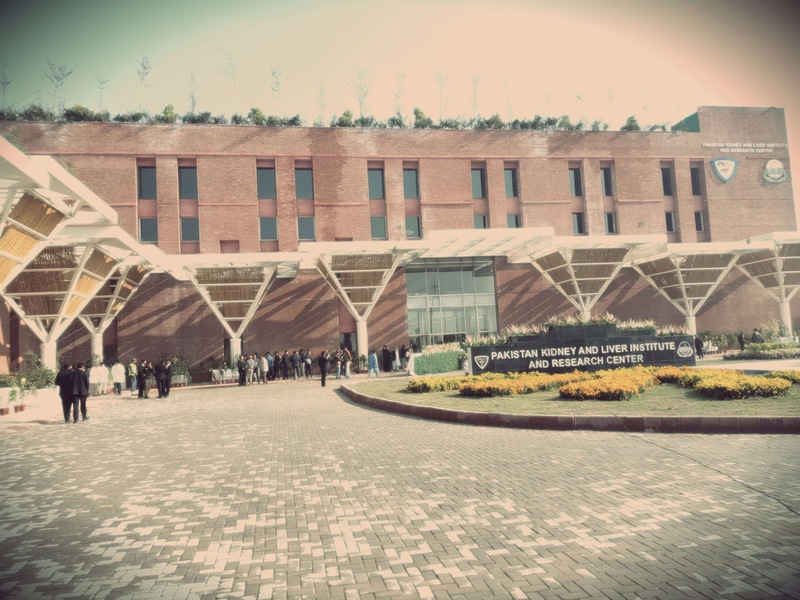 A consortium of three Italian Universities (Politecnico di Torino, University of Bari, and University of Bologna) will be established at Lahore Knowledge Park as Pak-Italy University of Engineering Science and Technology to offer Undergraduate, Graduate Degree and Post Graduate Degree Programs in the areas of Civil and Infrastructure Engineering, Power and Energy Engineering, Mechatronics / Industrial Engineering, Biotechnology / Agricultural Engineering and Computer Science / IT. Italian Faculty will be fetched to teach at the University. An agreement is undergoing between the Officials of Lahore Knowledge Park Company and Beijing University of Technology to set-up the campus of the University at Lahore Knowledge Park. According to the official sources, the University will offer Degree Programs in Information and Communication Technology, Civil and Infrastructure Engineering and Mechanical Engineering. Pak-China University will be a consortium of three Chinese Universities, including Beihang University, Tianjin University of Technology and Education, and one other University which will be decided later. Korea Advanced Institute of Science & Technology (KAIST) showed a keen interest in setting up Pak-Korea University at Lahore Knowledge Park. The University will focus on Manufacturing and Engineering Sciences Programs. Pak-France University will also be established in Lahore Knowledge Park as a consortium of multifarious Engineering Universities of France. Pak-France University will offer degree programs in various disciplines of applied engineering. A preliminary meeting has been held with the directors and Chairmen of various Institutes of Turkey, Germany, Finland, Netherland, and UK to set up their campuses in the Lahore Knowledge Park. They appreciated the iconic project and assured the company to provide full support. An Agreement is ongoing between the Lahore Knowledge Park Company and King's College Hospital, London to establish King's Hospital and Medical College. As a plan, King's College Hospital will be offering Medical Degree Programs and Clinical Training accredited by Royal College of Physicians (RCP) and King's College Hospital London. The hospital's management will be supervised by the senior staff of King's College Hospital. State of the art Hospital and Medical College to be established in Lahore Knowledge Park. Pakistan Kidney and Liver Institute and Research Center Hospital is in the process of constructing a state of the art hospital building with a vision to become a center of excellence in healthcare. PKLI&RC is the Primary Hospital of Pakistan that is based on International Standards for Healthcare. The hospital's construction has been divided into III Phases. Phase I of the Hospital has been completed while Phase II and Phase III will be completed in coming months/years. PKLI will offer state of the art clinical care, highest level of medical education and research, and through these excellence measures, PKLI will become Harvard, Johns Hopkins or Oxford of Pakistan. The hospital complex will also include a University that will offer world-class education and research at Undergraduate and Postgraduate levels. Meaningful discussions were held between the representatives of the Lahore Knowledge Park Company and the representative of Karolinska Cancer Teaching, Research and Treatment Institute. The Ambassador of Sweden in Pakistan also appreciated the concept plan of Lahore Knowledge Park and affirmed her support for the establishment of KCT&RT Institute. The Al group will visit Pakistan for the final proposal of the project. These are only some Universities / Entrepreneurship Centers. Lahore Knowledge Park Company and Punjab Higher Education Commission are engaging top ranking Universities to establish their campuses at LKP. Some Public Sector Universities in collaboration with the International Universities will also set up their campuses at Lahore Knowledge Park. The project will not be beneficial for the residents of Lahore but as well as for the whole country and with time for the international students also. The overall project will aid the country paradigm shift from an agrarian and industrial economy towards a Knowledge-based economy which is the requirement to achieve economic excellence in the 21st century. UPDATE: Lahore Knowledge Park Project has been stopped by the New Government. This page was last updated on 13-01-19.